Southampton FC have won a lot of plaudits this season for coping quite well with the loss of several key players last summer, while playing some great football under new manager Ronald Koeman. Currently sitting in a lofty fourth position in the Premier League after defeating Arsenal 2-0 on New Years Day, the club not only took home three points but they may have also helped a shy man win a young ladies heart. Saints fan Timothy, tweeted the club on December 21 asking if they could help him find "the girl who sits 4 seats along" from him at St. Marys and described her as "Unreal looking". Remarkably the club responded and told him to "man up" and ask her if she'd like a cup of Bovril. Bovril, for the uninitiated, is a warm beef drink that's popular at many football grounds in the United Kingdom. Although it sounds a bit gross, like you're drinking a cup of gravy it's more of a light broth that really hits the spot on a cold night. I once brought a cup of it for a girl I was dating, who was a vegetarian, at half-time of an Under 21 match between Spain and England at St. Andrews in Birmingham, and I believe it may have brought her back to the meat eating fold. Anyhow, after Timothy's initial nervousness he promised to say hello to this girl that had caught his attention at the next home match. Then even Saints legend Matt Le Tissier got involved as he tweeted #GoodLuckTim at the love struck Southampton fan. 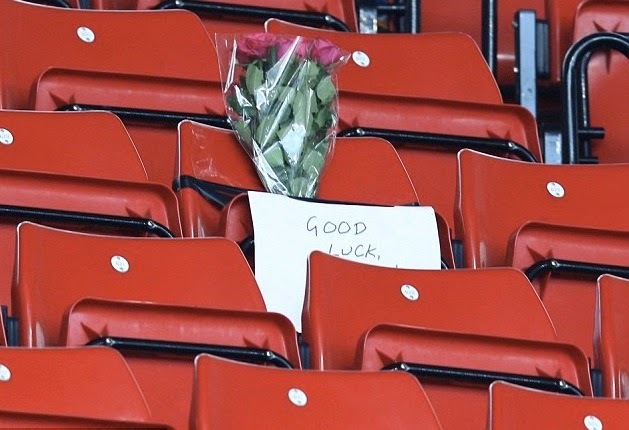 For the club's home match against Southampton, Timothy found to his surprise that the club had placed a good luck note, flowers and a coupon for Bovril on his seat. 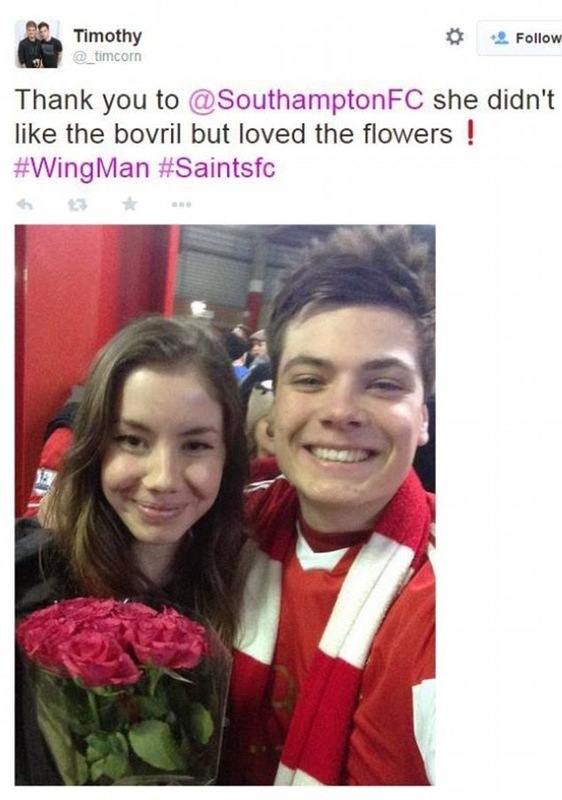 Plucking up his courage, Tim approached the girl in question and although she wasn't keen on the Bovril, she happily accepted the flowers and took a selfie with her admirer. After the match Southampton's official Twitter account Tweeted, "We're proud of you. Our work here is done. #WellDoneTim"